before you can say 40-Love! An amazing facility, affordably priced, in one of the world's most beautiful settings...tough to beat! Everything you need, all in one place. Play a few sets and then reward yourself with a world-class massage from our on-site RMT. Or enjoy a work out with our trainer and then pamper yourself with a facial before the party. 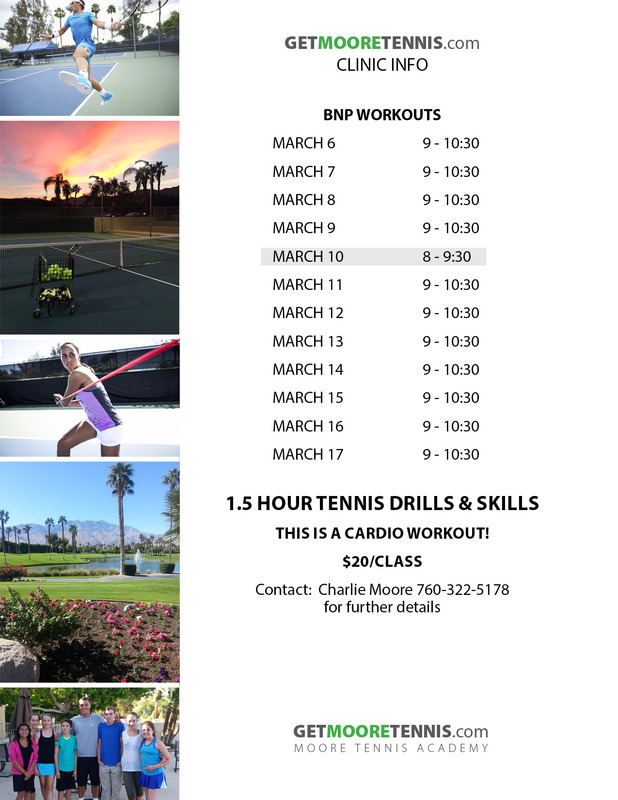 Tennis, Fitness and Spa, everything you need under one roof, managed by the Desert's best professionals. We'll add you to our list! 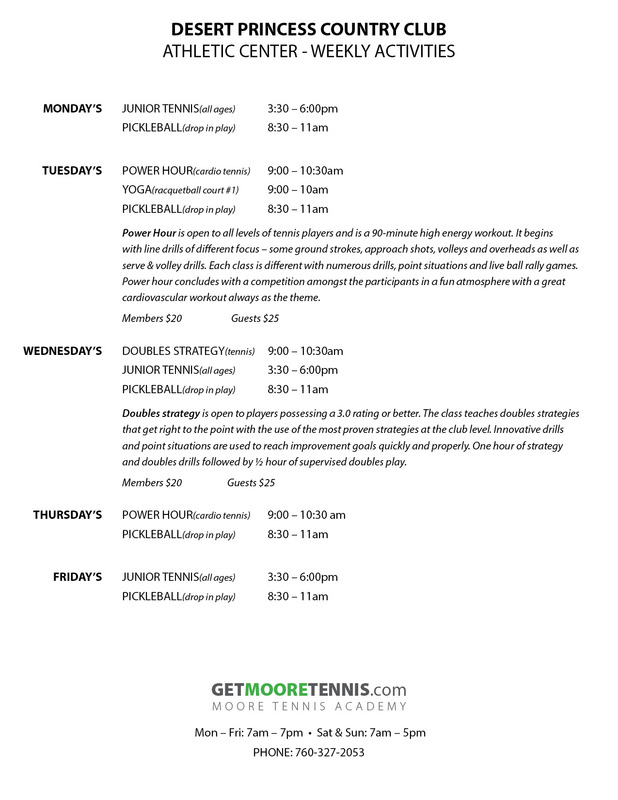 Our famous POWER HOUR clinics are wildly popular and give you invaluable tennis tips and a killer cardio workout at the same time! Our newly renovated Spa has everything one is looking for in a first-class spa experience. 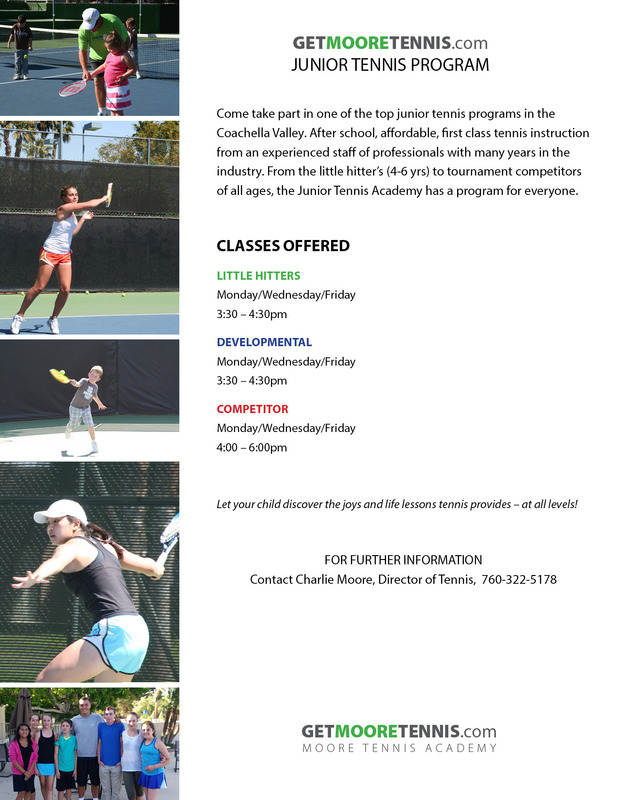 The Academy is best known for the relaxed and fun atmosphere the kids enjoy while participating. Top level instruction combined with games and prizes. 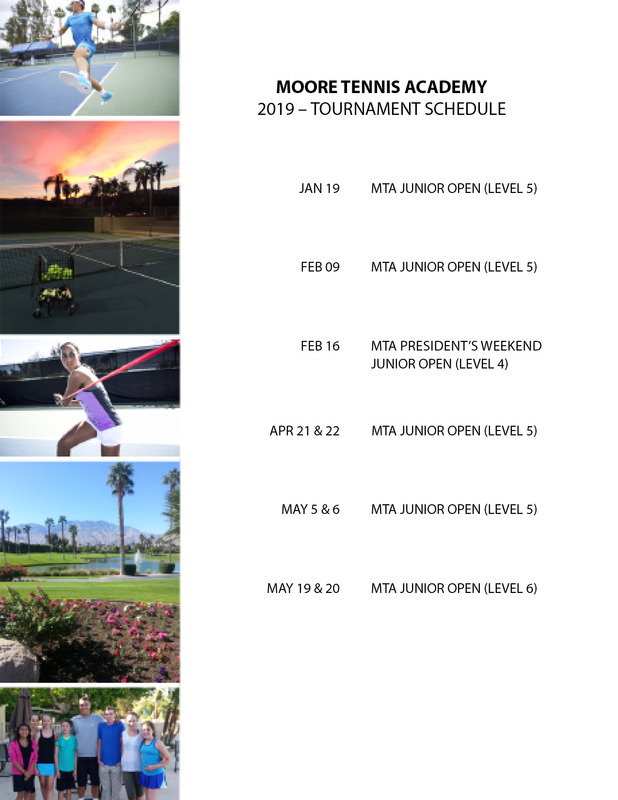 9 recently re-surfaced tennis courts • Improve your game, get fit and have fun!